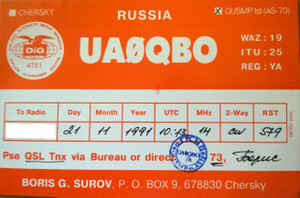 Thanks for the qsos to those who made it. 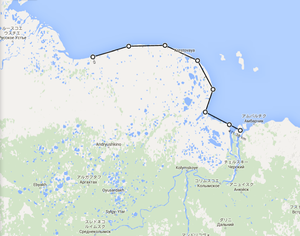 This was a short stay (only 5 hours) due to boat pick up times. 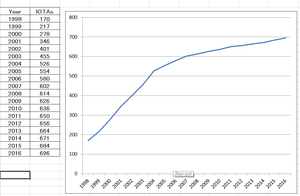 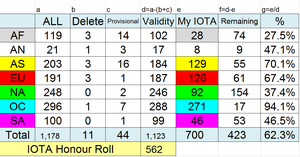 We made approx 800 Qs.Tomorrow we stay 24 hrs on EU-071. 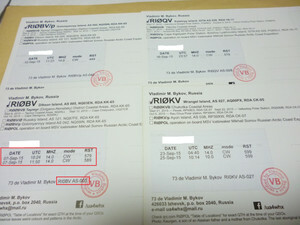 5 days between Sep 14 and 21. 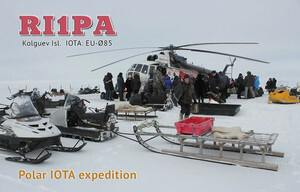 Operations will take place using two stations around the clock, on SSB and CW, from 40 to 10 m. For one of the two stations the Team will employ a solid state 400 W amplifier, whereas for the second station will use 100 W. They will bring vertical antennae for 15 m, 20 m, and multi-band. 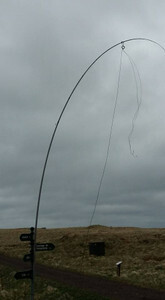 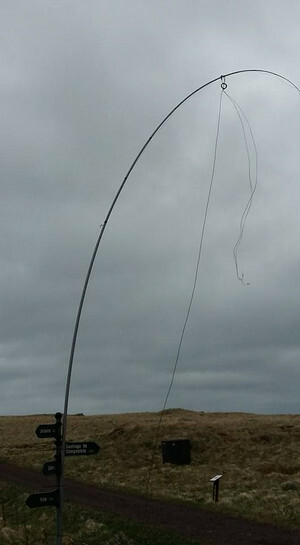 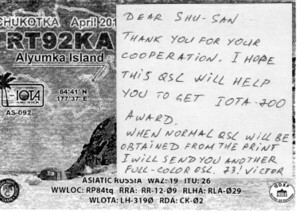 I will use IC-7200 + 2 el VDA for 20 m, 2 el VDA for 15 m and multi-band dipole from Spiderbeam for the rest and as a backup. 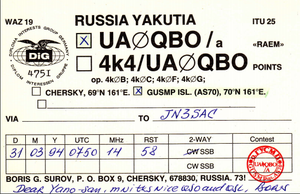 I'm planning to use 40/20/15 m bands only, sorry for the inconvenience. 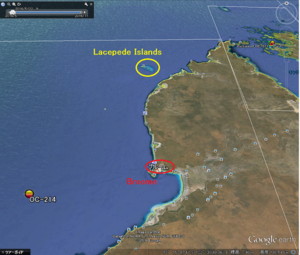 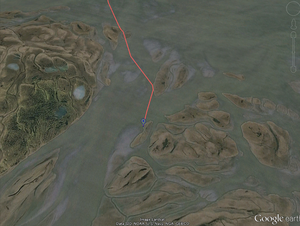 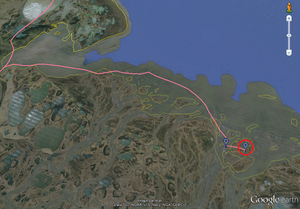 At the moment I plan to stay there for 3 nights, may be 4 - depends on weather conditions. 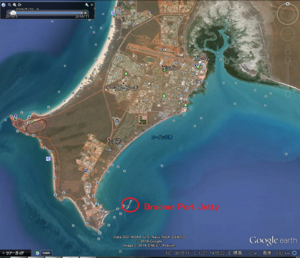 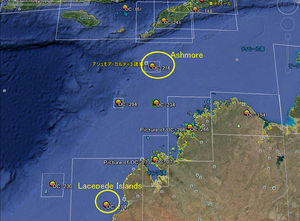 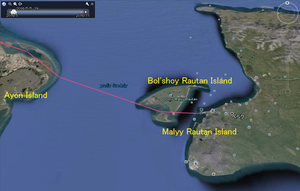 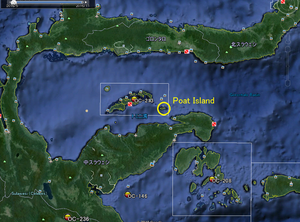 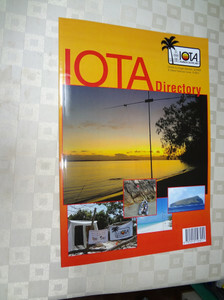 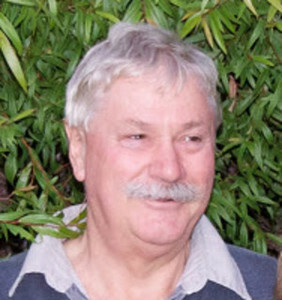 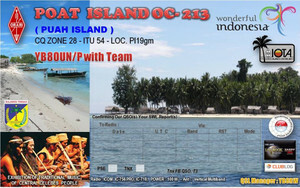 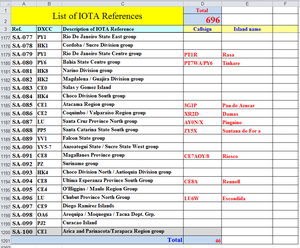 My Team is headed by YB8OUN / P to go to the POAT Island this evening, he and the team did DXpedition IOTA OC-213 will be QRV on 14-15 May 2016. 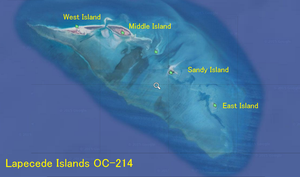 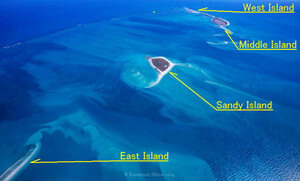 This is a new island for OC-213 and to "Nusantara Award"
- Plane tickets (terrible time schedule) have been purchased and accommodation up north booked. 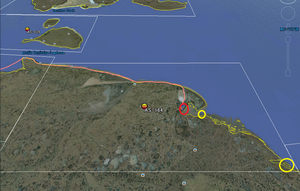 - Maury (IZ1CRR) offered to put together a website for this project, but he won't be able to do it for another week. 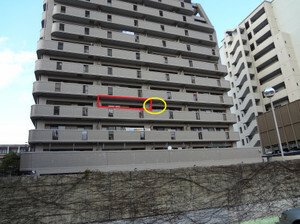 - I am actively looking for donations to off-set some of the high costs involved, so if you are able to support this project, please do it through paypal (my address is similar to the email address). 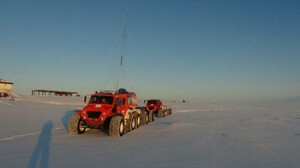 All donors will be acknowledged on the expedition website. 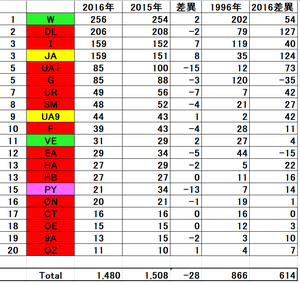 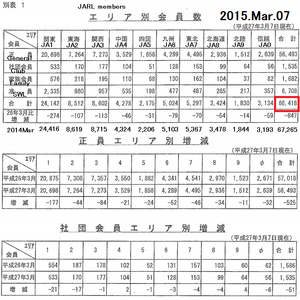 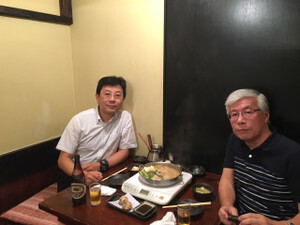 四十物さんと知り合うきっかけは私が勤めていた会社の栃木本社の住所と四十物さんの自宅が同じ町内であったことがきっかけでした。もちろん栃木でお会いしたことは一度もありませんでした。博多に来られたチャンスに無理やり時間をとってくださいました。芸能人並みです。(笑い)　Hope to see you! 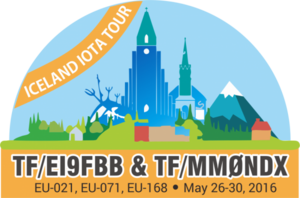 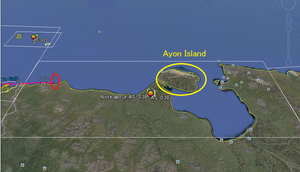 Whilst continuing to plan their next major IOTA DXpedition, look for Dave EI9FBB and Col MM0NDX to be active from Iceland’s three island groups (EU-021, EU-071 & EU-168) between May 26-30, 2016. A fun, holiday-style activity, they will mostly be operating on 17 & 20m SSB depending on propagation. 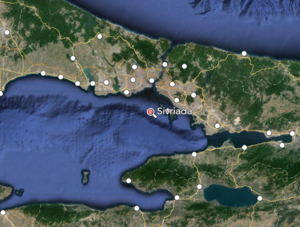 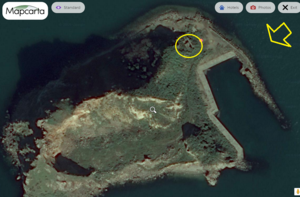 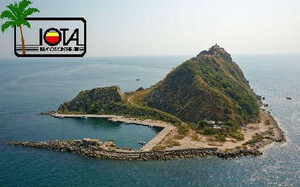 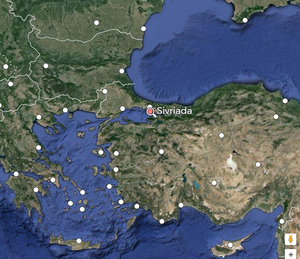 Turkish Radio Amateurs members of TRAK Radio Club YM1KD will be active from Sivriada Island (IOTA AS-201) 23 - 25 May 2016 as TC0TC. 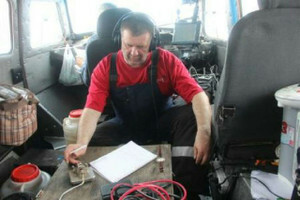 TRAK Radio Club, P.B. 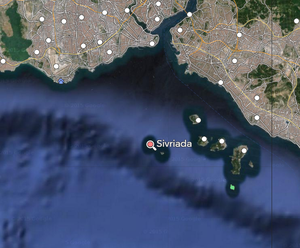 39 34421 KARAKOY, ISTANBUL. 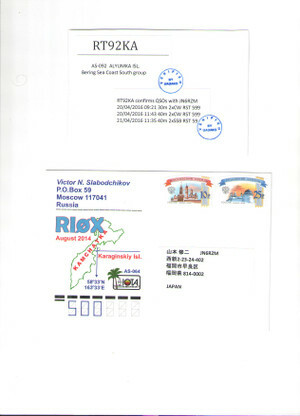 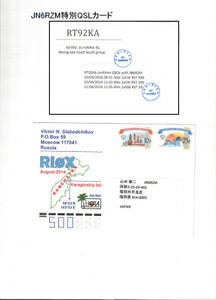 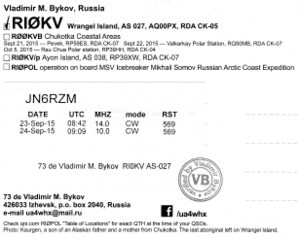 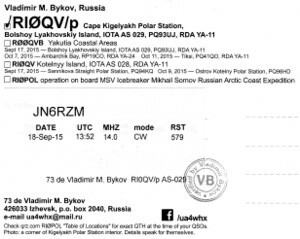 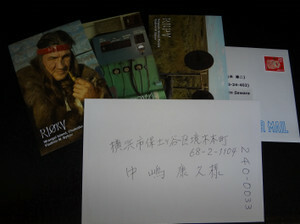 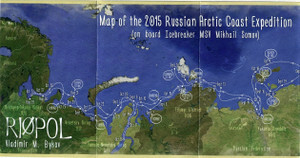 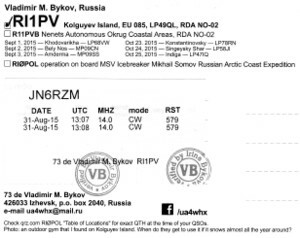 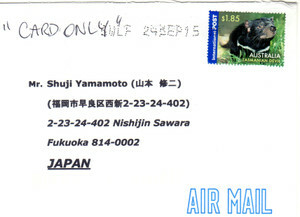 QSLs for the 2015 Russian Arctic Coast Expedition by UA4WHX are now being received. 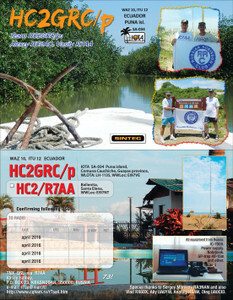 The R3CA/0 expedition is over. 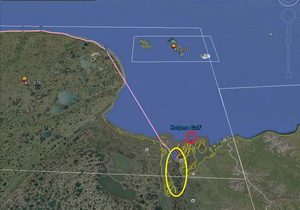 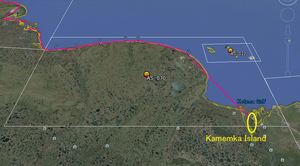 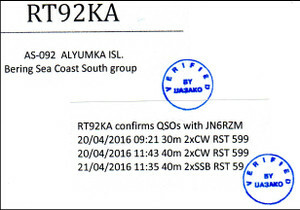 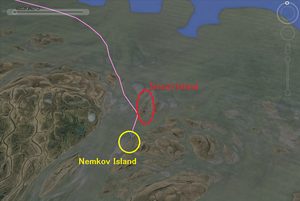 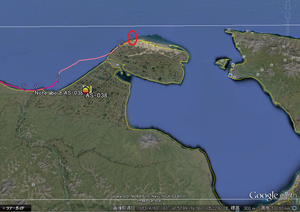 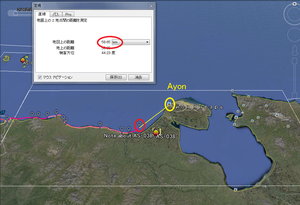 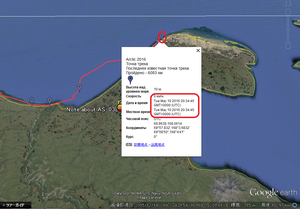 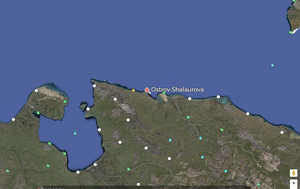 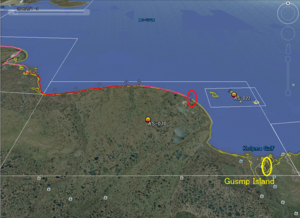 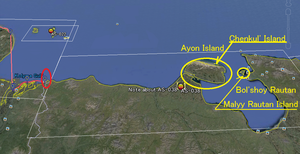 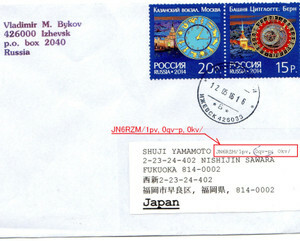 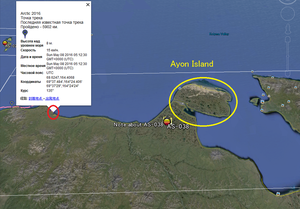 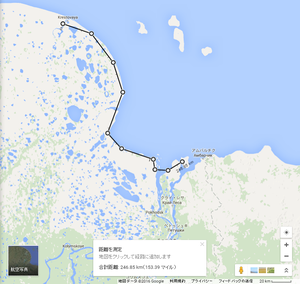 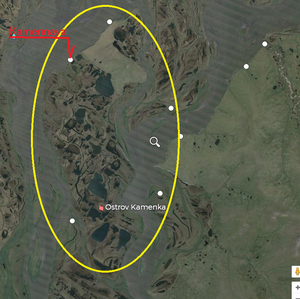 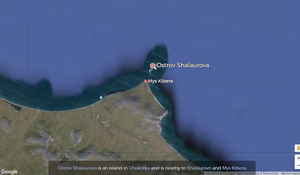 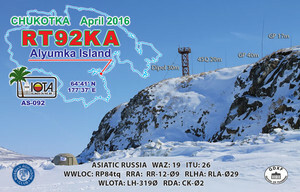 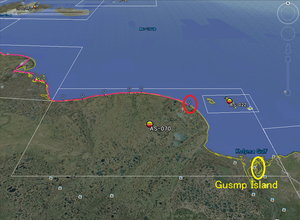 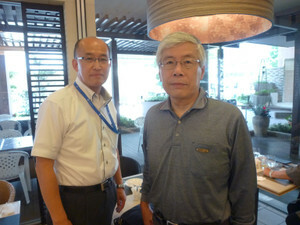 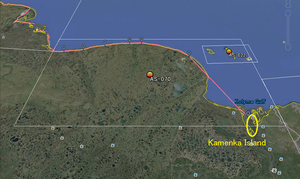 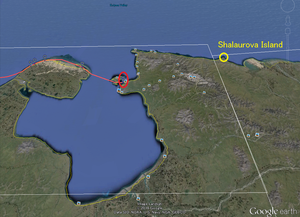 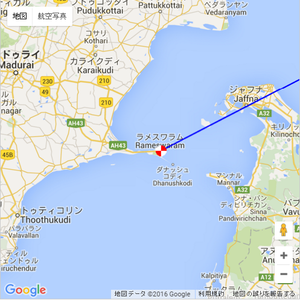 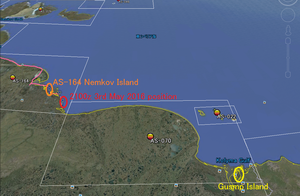 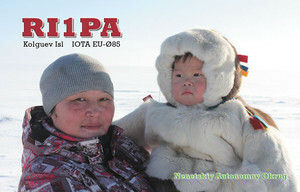 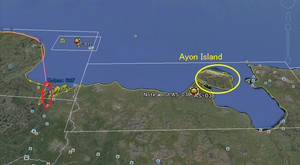 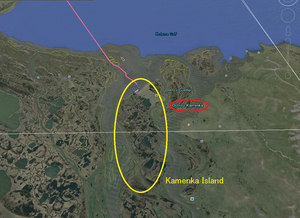 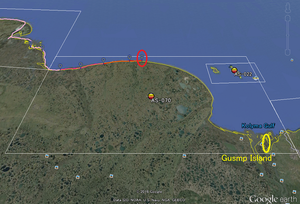 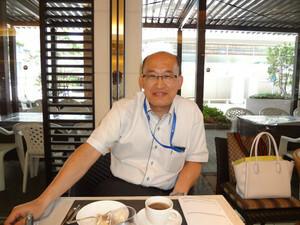 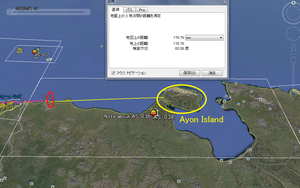 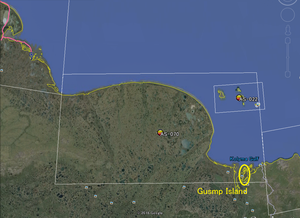 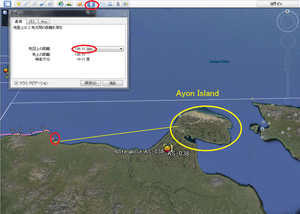 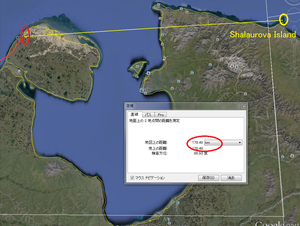 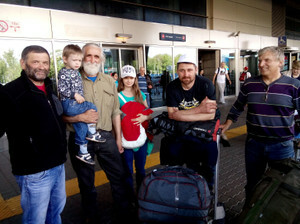 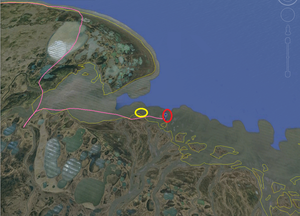 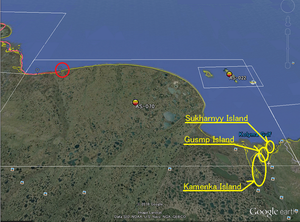 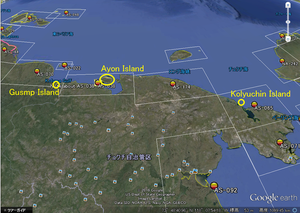 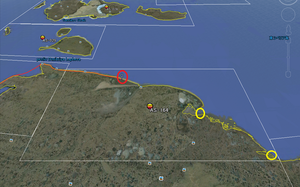 Yuri UA9OBA said that R3CA/0 expedition April 11 arrived to Pevek. 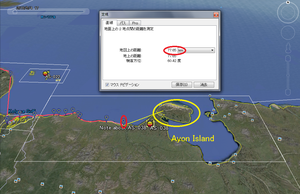 This is endpoint. More information will be when Yuri returns home. 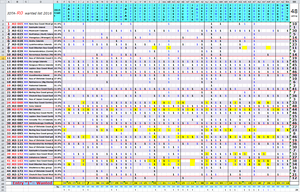 Claimed by: 26.4% of participants. 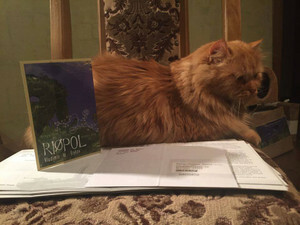 Высота над уровнем моря 8 м. 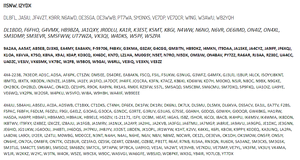 Claimed by: 34.6% of participants. 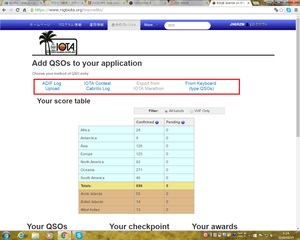 Claimed by: 11.6% of participants. 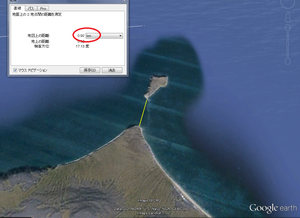 Claimed by: 16.0% of participants. 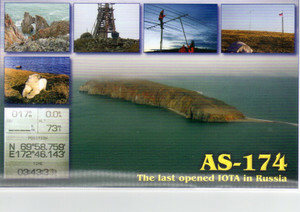 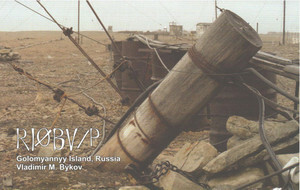 EU7A Andyさんよりのアドバイスです。私のダブルミスです。「3 UA0QBO/A (87-01) via UA3U Zhohova Island 」を「3 UA0QBO/A (87-01) via UA3U Gusmp Island 」へ訂正します。R0-IOTA wanted list 2016も訂正しておきます。恐らくUA0QBO/AがAS-048とAS-070を運用したものをAS-048分をコピーしてAS-070分の島名をGusmp Islandへ変更し損なったものと思います。Thanks Andy.